Often seen speeding around on his iconic yellow Vespa, Daniele Usai has turned the sleepy seaside town of Ostia into a destination for gourmands worldwide. 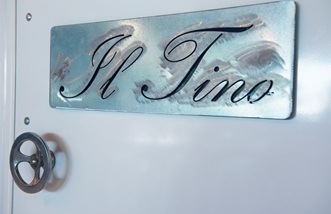 His restaurant Il Tino embodies his relaxed, simple approach to cooking local ingredients. After a brief stint in San Francisco he finally returned to the Italian capital in 2004 with an aim to open his own restaurant with friend and business partner Claudio Bronzi. After a few years of working in Rome and not particularly enjoying the hectic lifestyle, they came across a small, run down wine bar in Ostia – just twenty-five minutes away from central Rome – down a tucked away street by the coast. They bought the building, renovated it and opened restaurant Il Tino in June 2006, with Daniele as head chef and Claudio as head sommelier. 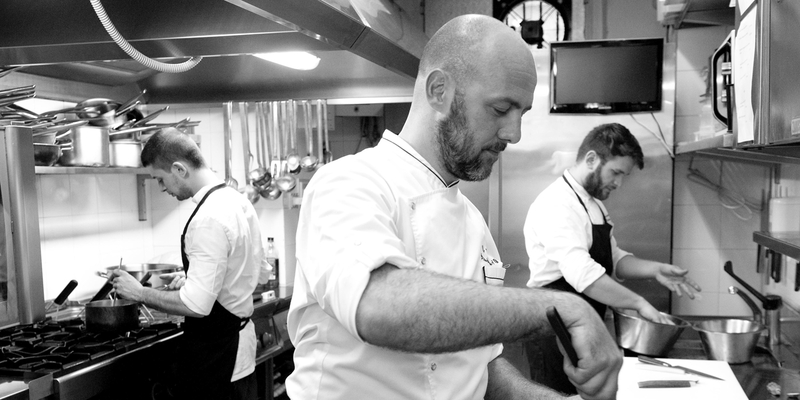 By this point, Daniele had developed his cooking style into something that reflected his own personality, resulting in calm, collected and subtle dishes, packed with flavour and a celebration of local ingredients. 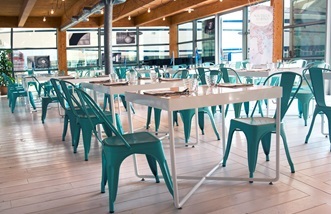 The restaurant was an instant hit with locals, and word began to spread. Soon enough, the Michelin inspectors decided to pay Daniele a visit, and promptly awarded Il Tino a Michelin star in 2014. Daniele relies almost entirely on what’s grown, reared and produced in the local area for his cooking, and follows the seasons so strictly that the restaurant’s menu changes every three months. The flavours of his childhood feature prominently in his dishes, such as the meatballs in tomato sauce his mother used to make, but he’s not one to shy away from using luxurious ingredients like white truffle or local seaweed to elevate his food to the highest level. 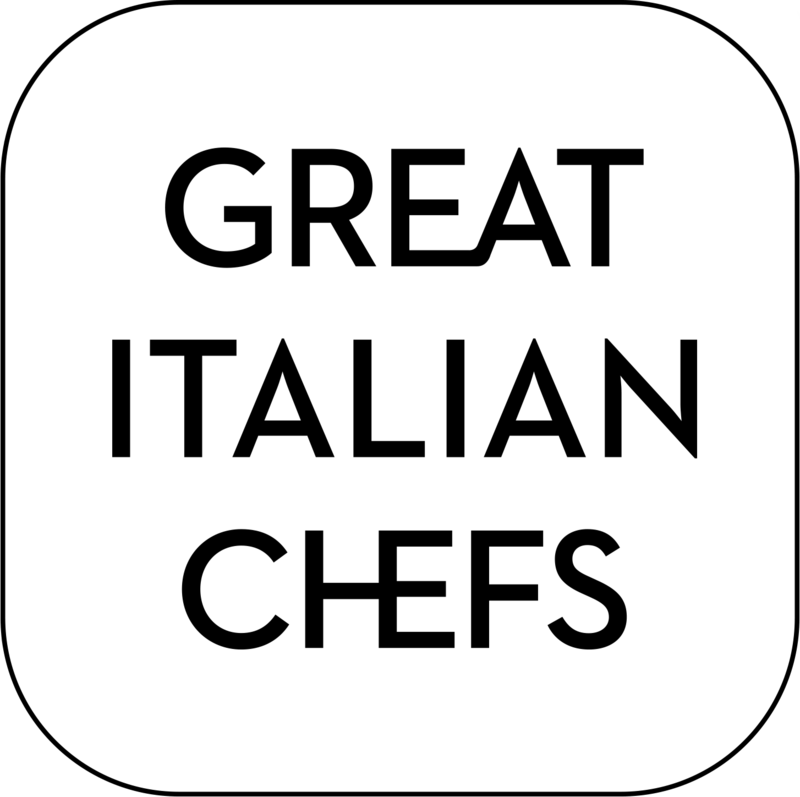 While his menu is steeped in tradition, he gives it a creative, contemporary twist; something he thinks is vital to ensure Italy’s food scene remains one of the best in the world. ‘Italian cuisine is definitely evolving – our roots still firmly lie in traditional cookery but we’re now adding to the classics without forgetting our origins,’ he explains. He’s not afraid to experiment and freely admits he sometimes gets things wrong. When things go well, however, he creates some truly unique and innovative flavour combinations. Everything at Il Tino is home-made, with six different pastas and breads freshly made every day and desserts (dolci) prepared from scratch. Daniele has a soft spot for all the local produce he uses, but the one ingredient he likes cooking with the most is the blue fish caught just outside the restaurant off Ostia’s coast. Seafood makes up a large part of the menu, with dishes including Cuttlefish and peas, Red prawns, coconut, passion fruit and coriander and Ray cheeks, fermented black garlic, peas and tapioca. He also offers one of the cheapest Michelin-starred tasting menus in the country, at only €50 for six courses, alongside a well curated but very reasonable wine list. Working in Ostia suits Daniele’s personality and cooking style perfectly: ‘I love working in the evenings and being able to have enough free time to enjoy my hometown, gather my thoughts and appreciate life,’ he says. He can often be seen zipping around the harbour town on a bright yellow Vespa or swimming every day before work in the sea just ten minutes away from Il Tino – two things he wouldn’t be able to do in somewhere like Rome. While Ostia may not be a gastronomic heavyweight like the centre of the capital, Daniele has certainly made travelling to the sleepy town worthwhile.